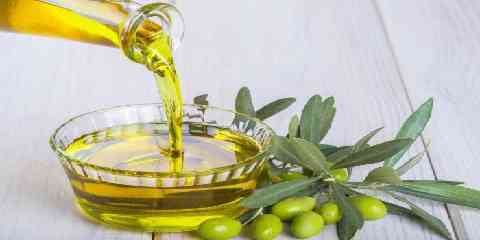 Home » Hair Care » Is Olive Oil for Hair Growth Beneficial? Is Olive Oil for Hair Growth Beneficial? Why Is Olive Oil Good for Hair Growth? How to Use Olive Oil for Hair Growth? 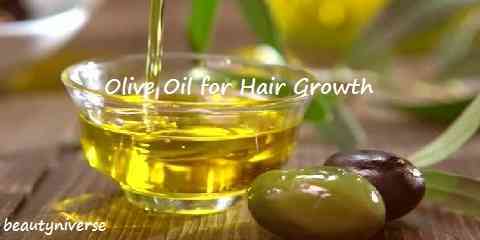 Is olive oil effective for hair growth? Do you know the benefits? Olive oil can be considered as one of the most powerful oils related to hair care. For example, this oil can make your hair grow faster, longer, thicker and even stronger. So, you do not need to be confused to look for hair care products because you can use this natural oil. Considering the benefits, olive oil is recommended so much for you who experience hair loss problem. One of the most common problems is dandruff. If you have the same problem, you can use olive oil to solve the problem. If you have hair fall problem, you can stop this problem using olive oil. Even more, your hair will be stronger. With stronger hair, hair fall problem will stops. The Spreading of Head Lice in Schools or Day Care Center: Can Black People Get Lice Too? Does your hair look lifeless? This may because your hair is undernourished. But you should not worry because this problem can be solved with olive oil. We have known about olive oil benefits for hair loss. However, olive oil has more benefits. One of them is to smooth the hair. So, if you find that your hair feels tousled, you can use olive oil to smooth it. As we know, one of the advantages of olive oil for hair is to stop hair loss. So, if you apply olive oil onto your hair and scalp, your hair will grow longer. Besides that, this oil can also promote good health of scalp, fight bacteria & fungi, and even improve blood circulation. As a result, your hair will grow healthier and even thicker. In addition, this also has been proven by many researches so that you should not hesitate to use this oil. There are some steps that you need to follow to get the olive oil advantages for hair growth. First of all, you should put about 20 ml of olive oil into a bowl. After that, add 10 ml of coconut oil into the bowl. Then, warm it using a microwave but make sure that it is not overheated. After that mixture becomes warm, you should part the hair in sections. Now, you can apply that mixture on your scalp for at least 20 minutes. While waiting the time, you can massage the scalp slowly and evenly. If needed, you may also cover your hair using a towel. After 20 minutes, you can rinse your hair with clean water. It will also be a good idea to shampoo your hair until clean. With this tip, your hair will not only get stronger and thicker but also be healthier and free from dandruff & head lice. Does Mayonnaise Really Kill Lice & How to Use It? Can Head Lice Jump / Fly? What Are Your Favorite Types of Ear Piercing?